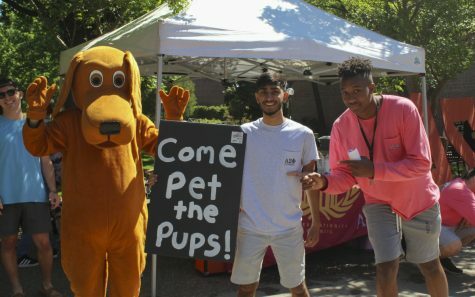 Gentlemen of Alpha Sigma Phi and volunteers at the Butte Human Society got together to bring some cute, adoptable pups to the catwalk by the Meriam Library on Tuesday morning. 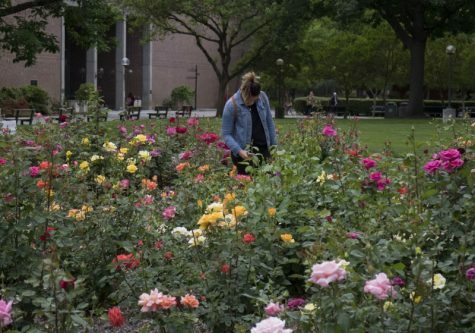 Second-year Leonor Cordova captures the beauty of the George Petersen Rose Garden Saturday after the International Festival held on campus. 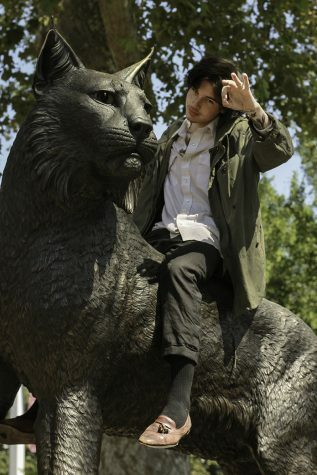 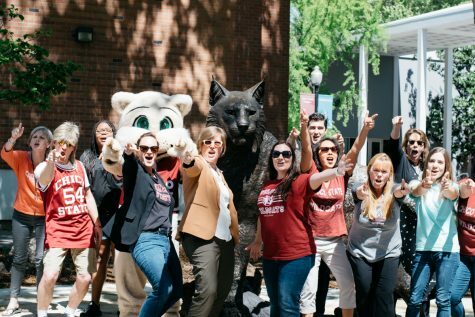 On April 20th, Chico State staff film the annual staff luncheon in front of the new wildcat statue. 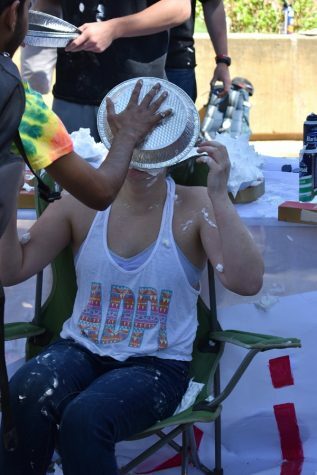 Madison Ramirez received a face full of shaving cream Wednesday at Alpha Delta Pi and Sigma Pi’s Pie a Pi event. 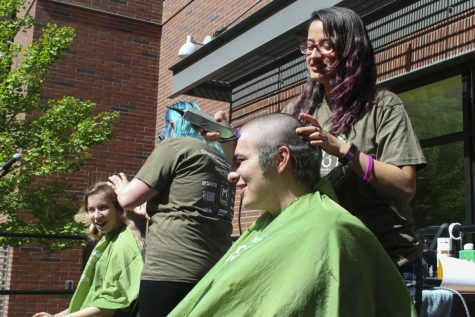 All of the proceeds went toward the Ronald McDonald House Charities and The Amazing Day Foundation. 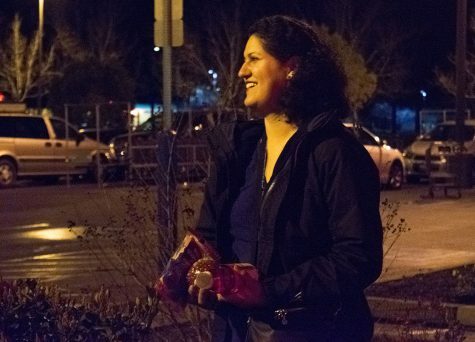 Butte College student and Chico resident, Michelle Alvarado, takes an early morning trip to the grocery store. Tuesday Feb 27, 2018. 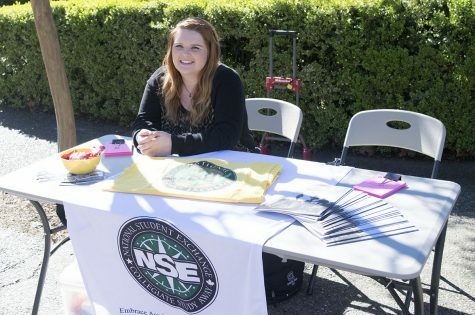 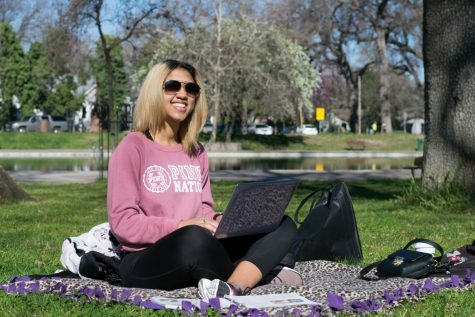 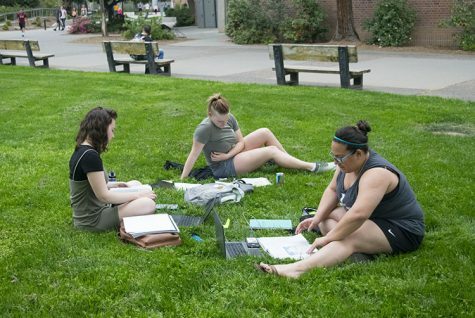 National Student Exchange student, Amanda Jones, tabling in front of Siskiyou Hall on the Chico State campus Feb. 19, 2018.